My first post to the microscope section of this site. 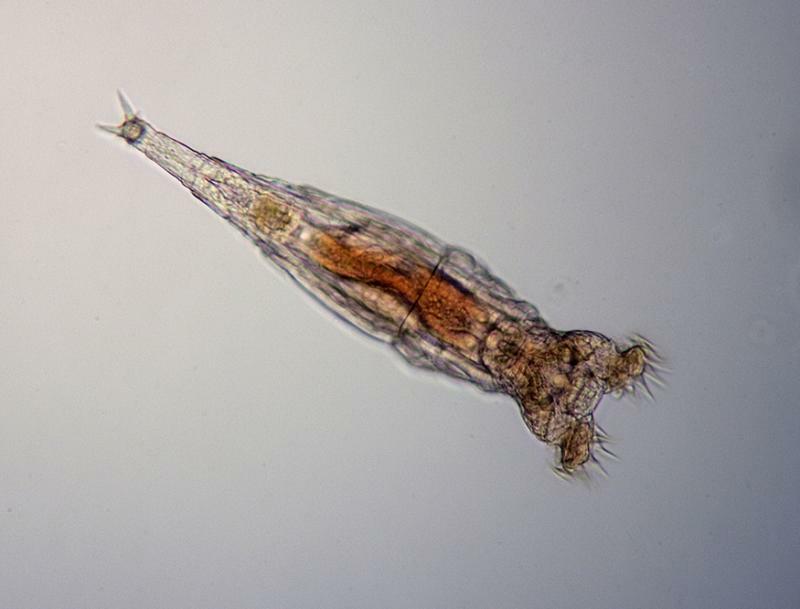 A bdelloid rotifer through a 50 year old Swift microscope and a Canon EOS Rebel T1i. Edited by polaroidia, 08 November 2018 - 10:12 PM. That looks sooooo cool! I wouldn't want to be hunted down by that! Nice! I did that microscopy stuff when I was a kid, using a film camera, B&W film, and developing it in my parents' bathroom. That looks like a stentor! I have microscopes and keep planning to get back into that. Just as much fun as astronomy and... a lot cheaper!